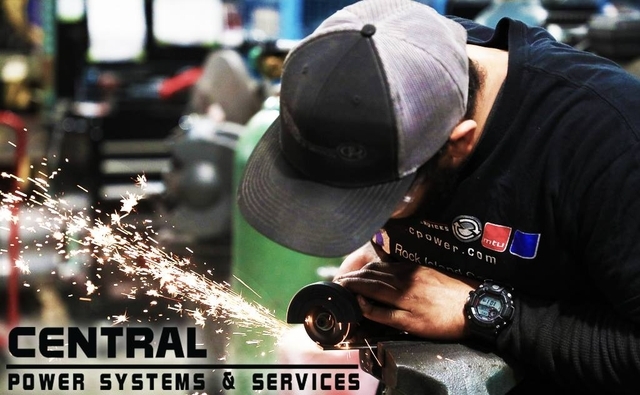 Central Power Systems & Services (CPS&S) is the only authorized distributor for Allison Transmissions, Detroit Diesel, MTU, Doosan Portable Power, Doosan Industrial Engine and Mercedes engines in Kansas, Missouri and Northern Oklahoma. CPS&S has been serving the Commercial Equipment needs of the lower Midwest region with top quality On-Highway, Industrial and Power Generation products and services since 1954. 3) Position and align components for assembly, manually or using hoists. 5) Inspect, operate, and test completed products to verify functioning, machine capabilities, and conformance to customer specifications. 6) Performs repairs as directed by the service foreman. 7) Completes all time cards or timekeeping requirements to track labor in jobs. 8) Completes all paperwork necessary to perform repairs as directed. 9) Notifies service foremen upon completion of repairs. 10) Other responsibilities as designated by and at the discretion of management. -The knowledge and ability to repair various makes of engines, on-highway tractors, and equipment. -The knowledge and ability to consistently repair components and equipment in line with dealers and manufacturers standards. -The drive and responsibility to work independently. If you are ready for a rewarding career, apply here!